Each year in a handful of cities across America, a team of artists turn 20 million pounds of frozen water into incredible ice castles straight out of a Disney film. Now, for the first time ever, you can watch the the painstakingly-created winter wonderland come together in one of the most amazing timelapses you've ever seen. Despite numerous setbacks caused by an unseasonably warm winter, the stellar crew behind Midway, Utah's chilly art project was still able to build an awe-inspiring ice castle, complete with a few nods to this year's Disney phenomenon Frozen, and we were lucky enough to be on hand to capture the entire thing. 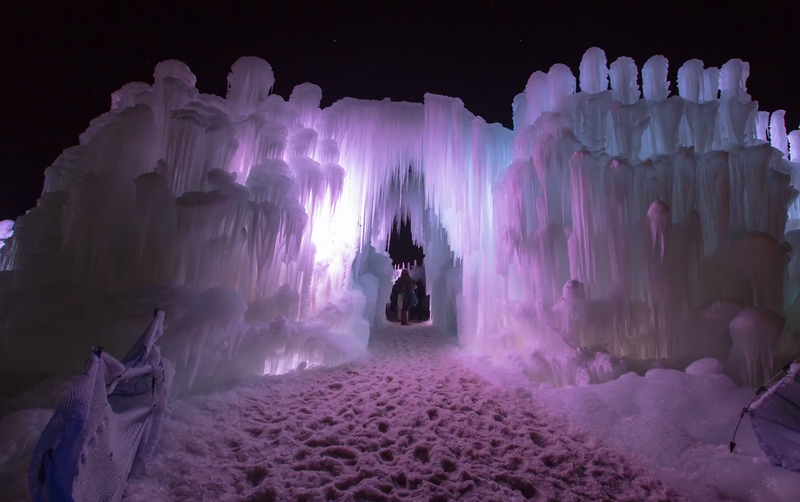 To read more about more about the construction process, including where and how you can visit one of America's most amazing ice castles this winter, head over to Roadtrippers.com.